The charming village of Westhoffen juggles its vine-growing side with its links with timber and forestry. It boasts an A.O.C. wine-producing area of 235 hectares, the largest in the “Golden Crown” of vineyards, and is bordered by a forest of almost 1000 hectares. 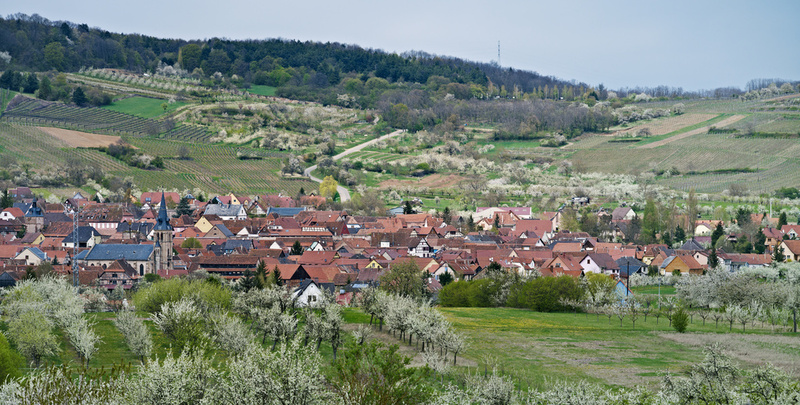 Moreover, its 5,000 cherry trees make Westhoffen the centre of Alsace’s cherry-growing industry. All these treasures and delights can be seen on the Discovery trail. 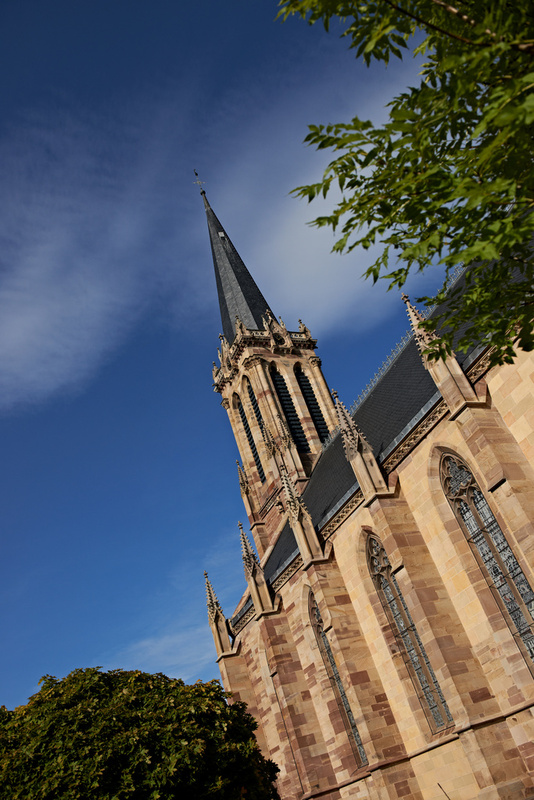 Westhoffen’s architectural heritage is equally impressive, with magnificent half-timbered houses and a variety of religious edifices lining the village streets, such as a neo-Gothic church, a Neo-Orientalist synagogue and another neo-Gothic church built in hallenkerk style, virtually the only one in Alsace. The village has a baker, two butchers, a greengrocer, a florist and two hairdressers.